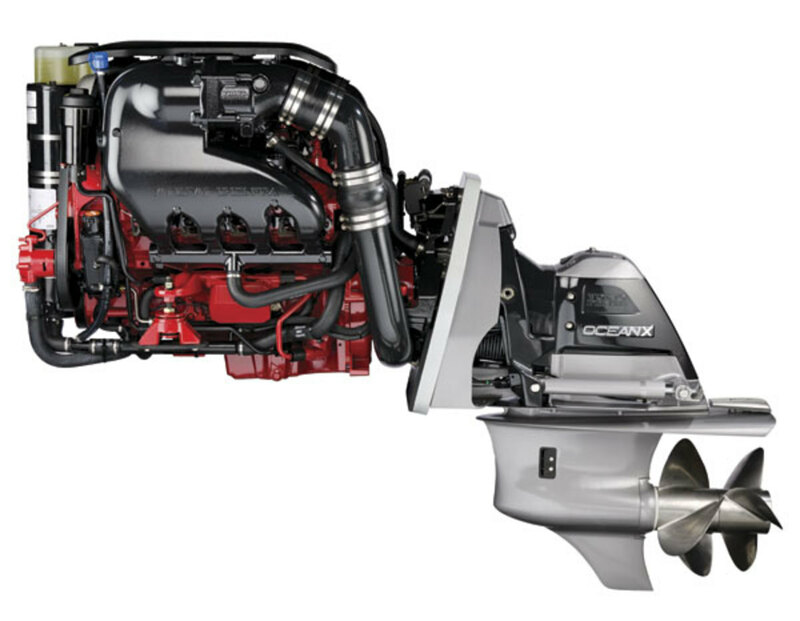 Volvo Penta uses two Formula 26 Sun Sports to test a lightweight, sophisticated V-8 that ups the performance ante. 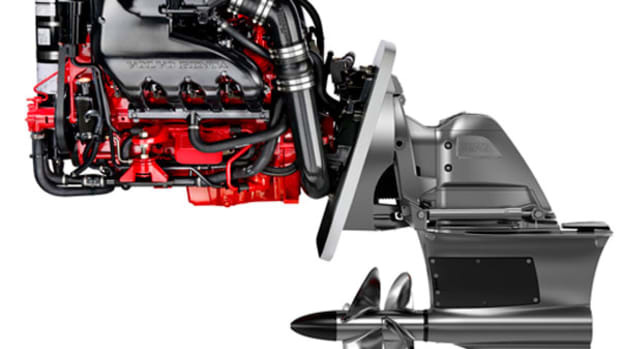 We here at Power & Motoryacht don’t claim to be able to predict the future, but when it comes to advances in V-8 technology, the future seems pretty darn clear. 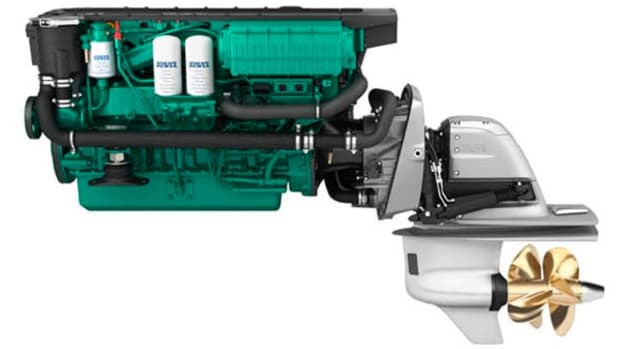 And the folks at Volvo Penta seem to agree, considering their latest intro, the 380-horsepower V8-380 is a comparatively lightweight but powerful stern-drive-targeted package that’s comparatively fuel efficient, tightfisted on emissions, and capable of some sporty performance numbers. 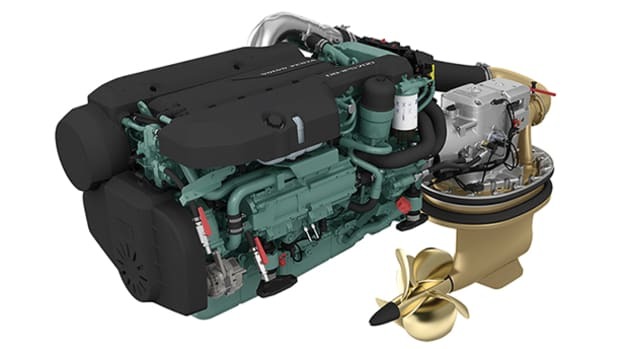 The 380’s grooviest new enhancement, I’d say, is its Variable Valve Timing (VVT), a multifaceted technology that’s been around the automotive industry for some time now but has been, except for a few outboard offerings, wholly absent from the mainstream marine marketplace. To get a basic understanding of VVT and its virtues, let’s start with a little story. Back in the day, my brother Mike used to be a little wild. And at one juncture of his young life, he owned a very fast and powerful car that was also schizophrenic. 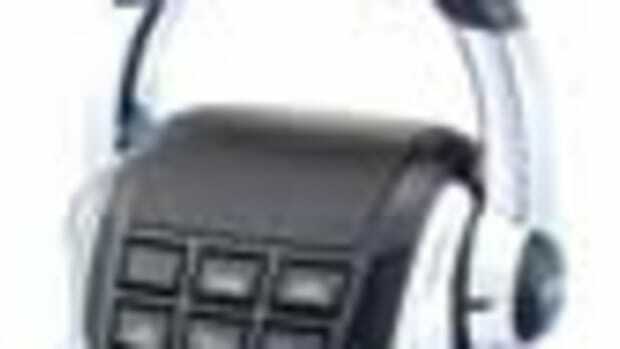 More to the point, while the big hunkering beast would run like a rocket at WOT, cruising her around our little town at street speeds was nerve-wracking—the rumbling, mondo-displacement, big-block V-8 under the hood seemed like it was always just about to either shudder to a stall or go off like a hand grenade. Unfortunately, Mike’s wild side faded long before anyone came up with the solution—VVT. 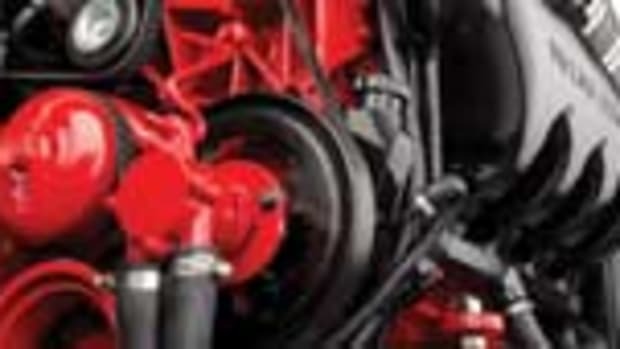 Superficially at least, an explanation of the technology is straightforward and starts with the premise that optimizing the complex activity of a gasoline engine’s intake and exhaust valves is critical to optimizing its performance. But here’s the deal. With the fixed camshafts and pushrod-activated valves that hallmarked the old big-block V-8s of yore, optimization came either at the oxygen-sucking high end of the rpm register (the place where my brother’s fire breather luxuriated, for example), at the street-friendly low end (think Nash Rambler perhaps? ), or at a less-than-perfect compromise on the continuum in between. One way or the other, overall performance suffered. Enter the VVT camshaft. Like the old-fashioned fixed version, it turned in synch with the crankshaft via a cam sprocket and timing chain, thus making valve adjustments in relatively limited ways. But it also did something else. Thanks to a clever little device called a “cam phaser” affixed to the sprocket, it tossed into the mix a whole slew of extra valve-adjustment possibilities based on the clockwise/counterclockwise rotation of the camshaft in relation to the rotating sprocket. The result flattened torque curves around the world, and automobiles began sporting engines that had great low-end oomph but superb top-end firepower as well, all in the same package. One final wrinkle. 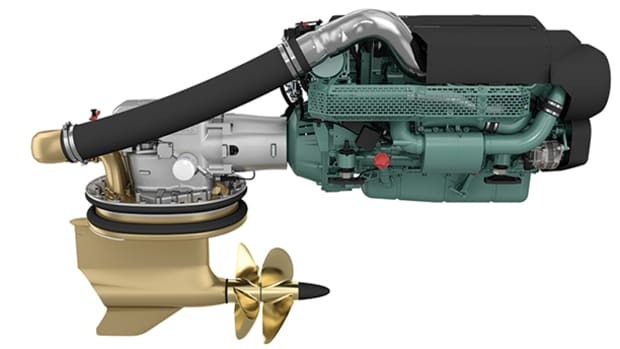 The cam phaser on Volvo Penta’s new 380 (a marinized version of GM’s gutsy Vortec 6.0-liter V-8, L96, VVT truck engine) is a four-veined, propeller-like component that rotates throughout a range of 26 degrees (in relation to the sprocket, of course) to either advance or retard timing via engine-oil-actuated hydraulics. While this is all for the most part mechanical, computers get in on the act, too. 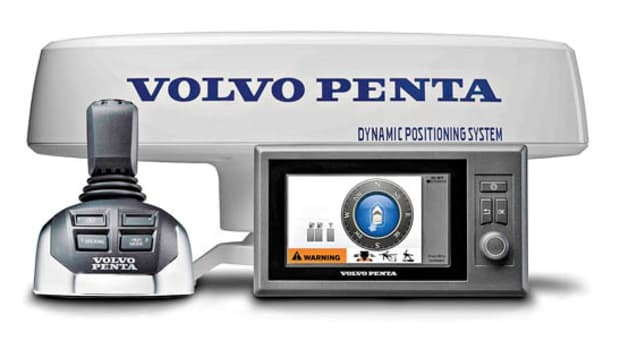 Through a solenoid, the 380’s Electronic Control Module (ECM) tells the cam phaser what to do (how many degrees to advance or retard) based on throttle demands and efficiency concerns.